Posted on December 9, 2010 by malbrown2 Comments1 Comment on Is this a locust? I thought locust were bigger than this. I found this on a friends garage. 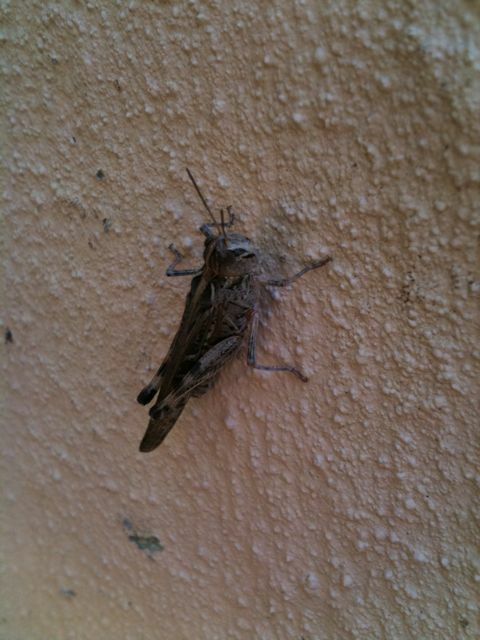 My mum said she heard on 3AW there were locust at the Rye Supermarket and this little feller was at Rosebud. There have been many of these at the Rye football ground and 14 removed from the Gym.